At Expanding Horizons we take sustainable construction very seriously. We strive to take an ecological approach to all phases of landscape design and construction. 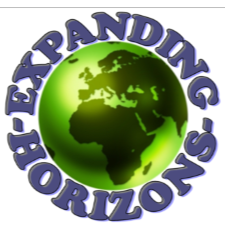 Located in Vista CA, Expanding Horizons has emerged as San Diego County’s premier designer and builder of Residential Gardens, Water Gardens and Botanical Parks. About Bryan: The son of a renowned Architect; Bryan grew up in Rome, Italy and on the Greek Islands. He spent his youth studying the history, culture and the architecture of the towns and countryside that surrounded him. Strongly rooted in his Classical Italian and Greek traditions, Morse has brought this depth and insight to the projects that he creates. During his extensive career he has traveled the planet studying Gardens, Architectural Features and the Exotic Flora of Tropical Jungles. Bryan has met extensively with the directors of numerous Botanical Gardens around the world and brokered acquisitions of rare plants for the Botanical Gardens he was representing. Morse was a paid consultant on the construction of the Soneva Kiri Eco-Resort in Thailand and has worked or consulted on projects across the United States and Hawaii, Mexico, Italy and Brazil. More than a design, it is an art to create the flow and harmony your outdoor spaces deserve. We believe that the garden is an extension of your living space and in creating your outdoor environment, we strive to Expand the Horizons of your home.